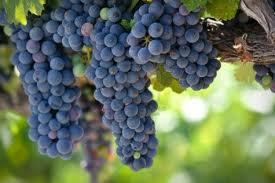 Do you love Grenache? Are you going to Passport? Tickets are still available for El Dorado Winery Association's Passport 2014 – Tales from the Cellar and for the Passport Winemaker's Dinners on Friday, April 4 and Friday, April 11. This five-course farm to table dinner features a different menu each Friday, paired with at least 7 El Dorado Wines and takes place at the beautiful Manzanita Kitchen in Diamond Springs. We just added vocalist Bob Rawleigh to entertain you with his renditions of classic American Standards. Also, if you need lodging, be sure to check out the newly added Fair Play Vacation Rental and all the rest of our lodging available here. Don't miss "The Best Wine Tasting Event of the Year!"